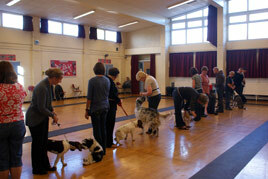 We hold a number of classes tailored to the needs of the adolescent dog. The general format of these classes is more disciplined than puppy class to keep pace with your dog's growing independence and changing attitude. As your dog grows it is natural for him to push the boundaries and test dogs and people he comes in contact with, including his owners. It is a time when some dogs begin not coming back when running free. When so called play biting may take a more aggressive turn, or they start to form opinions of their own that clash with yours. It is important that all the family members stay in control, and training is the most effective way to establish and maintain a good relationship with your dog. 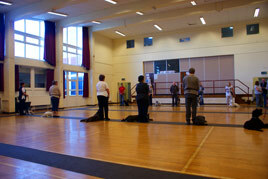 As your dog improves we will invite you to move on to the next level of training. If you would like to come and watch one of advanced level classes please ask for times.